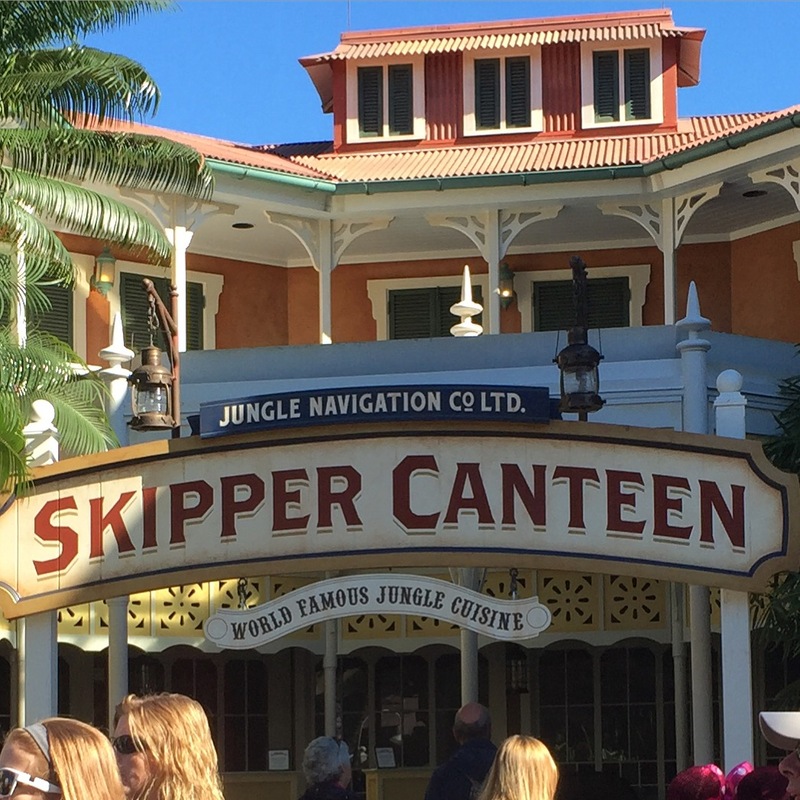 The Magic Kingdom’s most recent restaurant, Jungle Skipper Canteen has, in the past, not allowed for advance reservations. Instead, Guests were able to walk up to the restaurant, put down their name, and they would be notified that their table was ready via text. Well, as part of a test, from February 12-27, Guests will have the opportunity to make same-day reservations for either lunch or dinner at the Adventureland table service location. 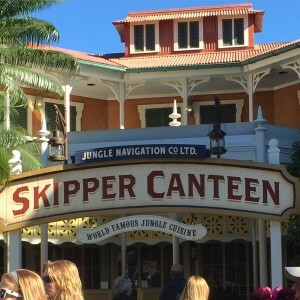 To do so, Guests can visit jungleskippercanteen.com or call 407-939-1933 on the day of their visit. A credit card will be required at the time of the reservation and the standard cancellation policies still apply. Guests who do not wish to made advance reservations will still have the opportunity to inquire about the restaurant availability at the restaurant’s podium. I just don’t understand why they don’t put this restaurant into the regular ADR system. They could always ‘reserve’ a percentage of the seating for walkup guests, if they’re trying to court those kinds of visitors. We will not be eating at this restaurant during our upcoming trip unless we are able to make an ADR before we leave home. I feel the same way, Helen. I’m considering getting a back-up ADR at Liberty Tree Tavern, just in case there still aren’t “regular” ADRs available for Skipper Canteen during my upcoming trip. I’d rather have a definite reservation somewhere I’ve been before (which I already I know I love), than a possible walk-up somewhere I’m excited to try for the first time. A thought occurred to me after I made this post. It’s possible that Disney doesn’t care about families like yours and mine. We’re going to make an ADR and eat at a table-service restaurant no matter what. But they would love to get people who normally eat counter-service and ‘upgrade’ them to eating table-service. So they’re trying to push ‘same-day’ people who would normally flock to counter-service places to try Skipper Canteen. I don’t know if this is what they are doing, but it was a thought. I would make sense from a business perspective. Then again, if the restaurant is empty, then they may have to re-think that strategy. HelenB, your choice of words begs the question: Why would you choose to vacation at a resort you think “doesn’t care about families like yours and mine”? Oh, for crying out loud – this is for a 13-day test. BOG did alternative testing like this for over a year. And I, for one, am happy to have a choice that does not require me to plan my dining choices 6 months out. Completely agree with this. There are a lot of people who would love to be able to plan only a little bit ahead. Or, heaven forbid, be slightly spontaneous! I know what you mean. We’re basically forced to make these crazy 180+ days out ADRs if we’re interested in eating anywhere popular. But that makes a hard time out of adjusting any plans, even harder when you can’t count on walk-up reservation. Have to say I was uncertain as well about not having an ADR, but on our resent trip we went to the Skipper Canteen twice. Both because we really enjoyed the experience and food but also the ease of walking up when we wanted to and having a minimal wait. Of course that may change if this place gets popular but I liked not having to plan so far in advance. We Liners and the rest of the core Disney community tend to be big time planners. We learn all the Disney rules, do ADRs at 180 days, FP+ at 60 days (remember its midnight ET), etc. We know how to double book reservations to hedge our bets on which park we will be in 6 months out. We learn the Len method of making an ADR for 4 and showing up with 10 for a meal. And on go the rules, tricks, tips and techniques. We are Disney savvy travelers. Pity the poor family that did not get the memo and just shows up expecting to enjoy a day at the park and have a meal in one of those nice restaurants seen in all the advertising. I like the idea of having a place that could be booked the same day. Who knows, I might get whimsical and even change my own park plans at the last minute and like a nice place to eat. Call me crazy. We ate at Skipper Canteen last week. Around 5pm we were seated immediately and the restaurant was only about half full. It did get more full as we left. 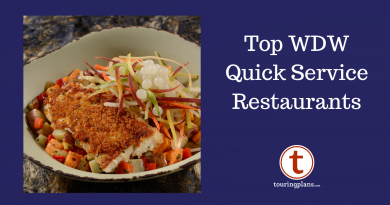 Prices are high (not unusual for Disney) – that will not convert a quick service guest to table service solely because the restaurant has immediate seating. I thought the plates were skimpy for the price. If someone is doing same-day reservations they are probably paying cash, not dining plan, and are going to be more value conscious than someone on a dining plan. I don’t think rice pilaf should count as a side item. Maybe the menu plays better in summer months, but it was sort of cold when we were there and I wanted to be more stuffed and satisfied than I was. It will be interesting to see how this experiment all plays out. I think this is a fantastic idea- one of the problems with Disney is that people who show up who don’t know they need to have spent months planning, or even someone who DOES know, but ends up with a last minute trip, will still have some good dining options. Kudos to Disney for attempting some variety in their dining reservation options!